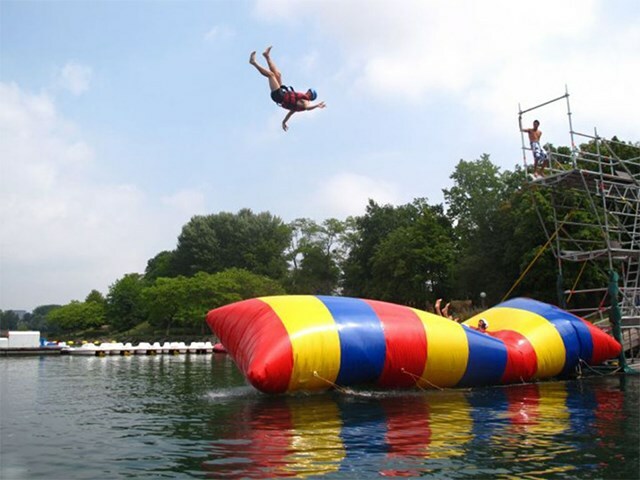 Products - Pool Floats Water Toys - Cheap Price Blob Jump ,Lake Water Blob,Inflatable Water Catapult Blob For Water Park BY-WT-001 - Guangzhou Barry Industrial Co., Ltd.
Ready for some fun at the lake this summer? You really need to check into trying out the water blob. It’s a human catapult that will launch you upwards of 50 feet in the air. 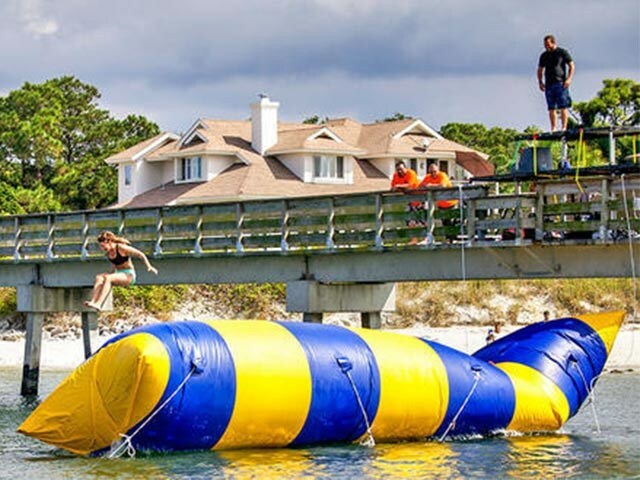 The perfect addition to your extreme sports water adventures. 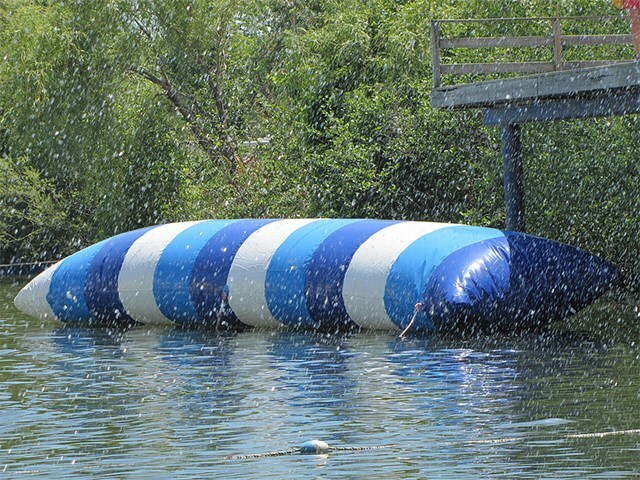 Here’s how the water blob works. One person, the human catapult victim sits on the end waiting to be launched into orbit. Meanwhile on the other side another person, or sometimes two, jump from about 10 to 15 feet up into the soft inflated pillow. This part by itself looks like it could be pretty fun too. 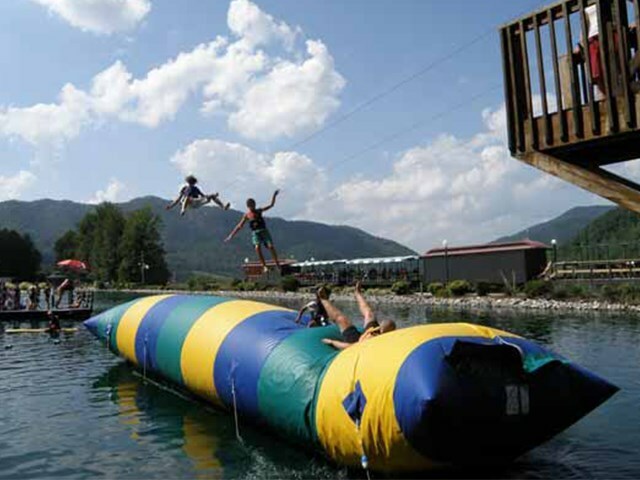 When they hit the water blob, the human catapult launches up into the air, giving you plenty of hang time to pull off the sickest tricks. 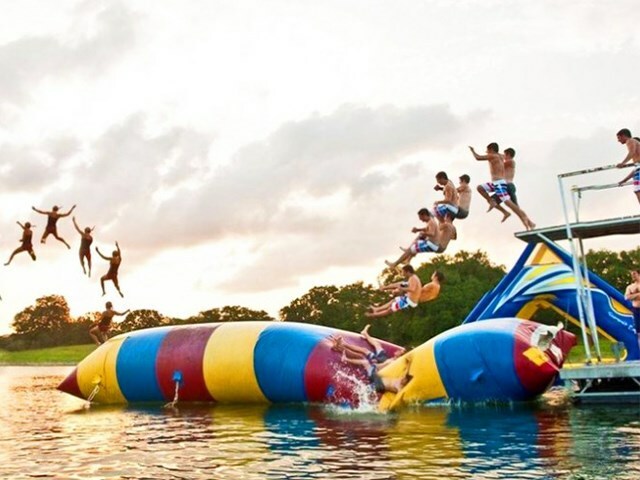 I could go on, but hey, you’d probably rather see it in action, so check out the Water Blob creating human catapults in action.